A great introduction to scuba diving, this 40-min scuba try dive in Goa will help you take your first steps in the adventure sport. During a half-day session in Goa, a certified dive instructor will guide you through your first 40-min open water dive in the Arabian Sea. But before you take the plunge, you'll spend some time learning the basic techniques of diving, and practicing these techniques in a swimming pool. In the sea, you'll dive with the scuba equipment and swim alongside schools of colourful fish, explore the cool waters of the open sea and revel in the calm, underwater beauty of the Arabian Sea. Ideal for people who want a proper way to test the waters of scuba diving, this trip also serves as a trial run to explore further certification courses in diving. 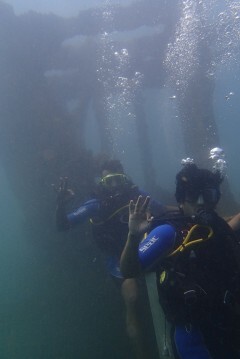 • Get introduced to scuba diving on this 40-min scuba try dive in Goa. 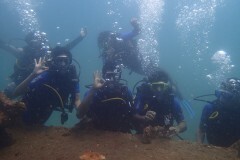 • Undertake a 40-min open water dive in the inviting waters near Goa. Ready for the open sea, you'll travel to the Sinquerim Jetty and embark on a 1-hr boat ride to Grande Island. 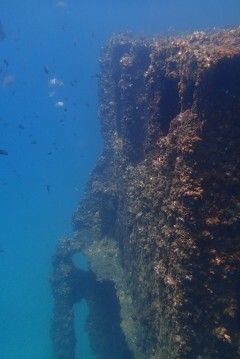 At the island, go under the tropical waters for a 40-min scuba dive. You'll be accompanied by a certified instructor who'll guide you at all times. Return back to the boat after the dive, and transfer back to the dive centre. Your trip ends here.